Do they come with motion sensors? Are these wall lights protected against seawater? 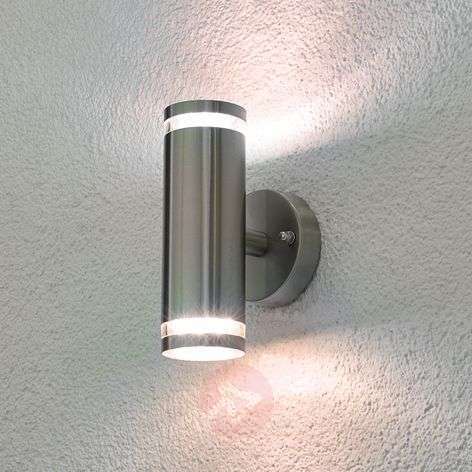 How do I instal an outdoor wall light? 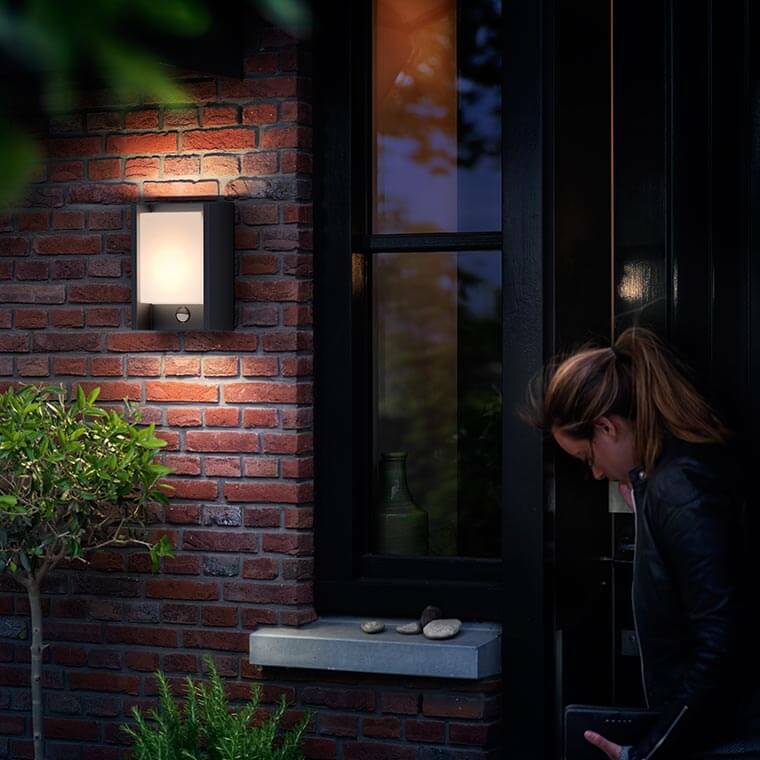 Outdoor lights are a particularly good idea for three reasons: One, they make theoutside of your home safer as you and your visitors will be able to see pathways, entrances and gateways more clearly. Two, outdoor lighting improves security as burglars and vandals are less inclined to come near your property when they can be seen clearly. Three, impressive lighting can light up your home and add to its appearance and value. These three reasons are equally valid whether we’re talking about a private property, a rented house, a company building or a shop premises. 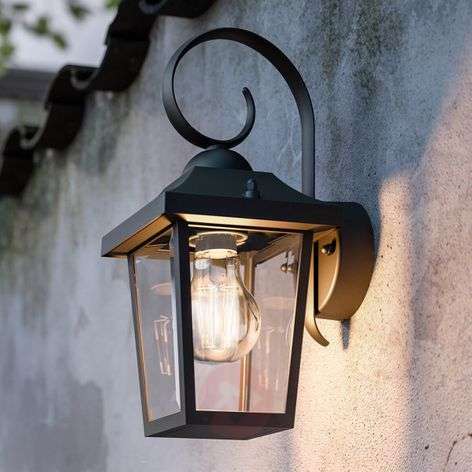 Lights.ie has a huge range of outdoor lighting for you to choose from. Whether you’re looking for something discrete, a modern work of art or a state-of-the-art wall light that includes CCTV and motion detectors, come in and have a browse through the following sections. All of our outdoor wall lights not only look great but they have been designed and built to the highest quality in the market. They are efficient, durable, weather-resistant, ingress protection certified for water and dirt resistance and come with full warranties. 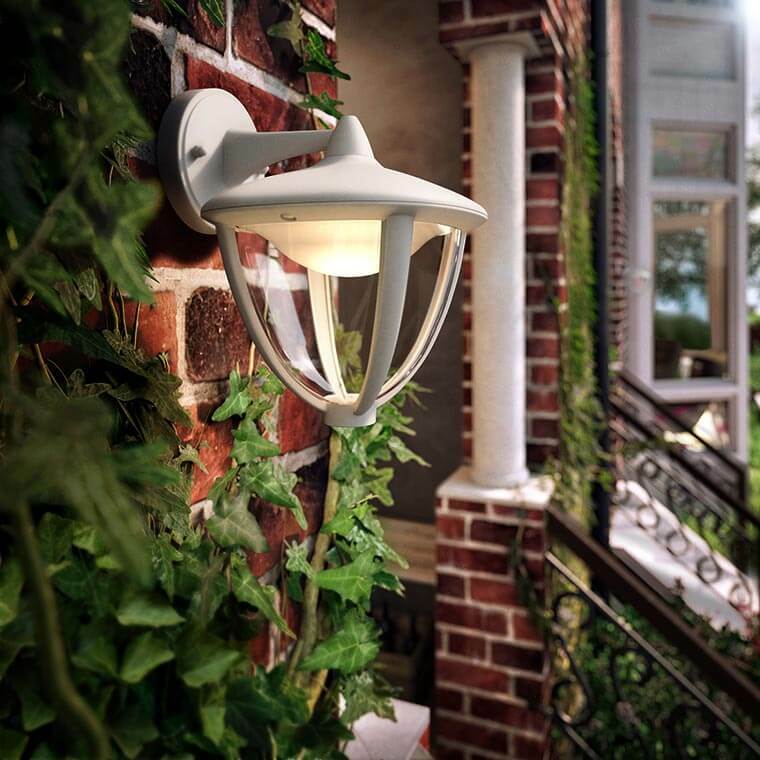 We have answered some of the most commonly-asked questions about our outdoor wall lights below. If there’s anything we haven’t covered then please don’t hesitate to contact one of our advisors here. You can use the filter above to see lights in any one or more of these styles: antique, country house, rustic, designer, hotel, restaurant, industrial, maritime, Mediterranean, modern, office, Scandinavian, shop and vintage. 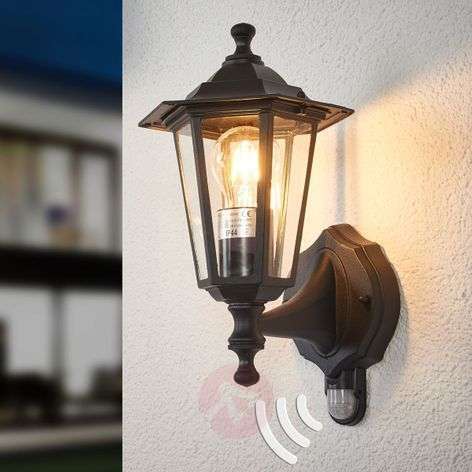 We have lots and lots of outdoor wall lights that have built-in motion detectors and dusk sensors - just use the filter option above to see them all. Our customers often tell us just how useful these lights are and how safe they make them feel as added protection against break-ins and vandalism. They also like the fact that the lights come on whenever they are needed, as the car pulls up to the house, for example, which is not only convenient but also very energy efficient. What is the best type of bulb to use? In our opinion and experience, LED is always the best way to go. The technology here has advanced a lot in recent years and LED lights use very little power and last for ages. These lights also light up immediately unlike other energy-saving bulbs. If they are LED lights, they will probably have the bulbs built-in. To check, take a look at the specifications on the product page for that light. If they don’t specify a base type then the light bulb will be built-in with a life span of between 20,000 and 25,000 hours. All of our outdoor lights are weather-resistant and have an ingress protection (IP) code which shows how much protection each light has against the elements. 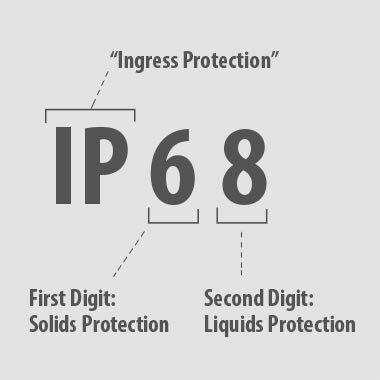 Look at the specifications on the product page for a two-digit IP number - the first one represents protection from solid objects on a scale of 0 – 6 while the second represents protection from liquids on a scale of 0 – 8. If this number is 4 or greater you can instal the light outside. We recommend not choosing aluminium or steel materials if you live near the sea. The salt air can cause corrosion and rust so choose “corrosion-resistant” in the filter above to find lights that are made from Poly (methyl methacrylate) (PMMA), heavy-duty plastic or brass. If you are in any way unsure of what you are doing, please get in a qualified electrician and they’ll instal your lights for you. 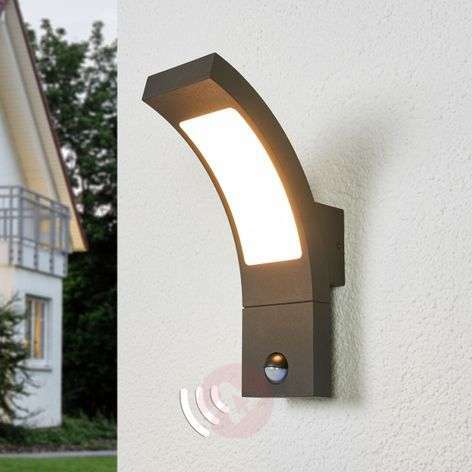 On the other hand, they are quite easy to put up and we provide detailed step-by-step instructions with each light. This depends on the light and your personal preference really. If it’s a motion sensor light there will be recommendations in the manual but, generally, you should mount your light at a height where it won’t dazzle you. The best way to get parts such as replacement glasses is to contact the manufacturer directly. If you prefer, you can contact one of our customer service agents here and we’ll put you in touch with the right people.